At a press conference on Carnival Breeze this week, Gerry Cahill, president and CEO of Carnival Cruise Lines, said that in the five years he has been at the helm of the company, he has received letters, and more recently emails, from guests commenting on their experiences aboard the Fun Ships. I have found the Carnival culture to be both fun and professional this week on Carnival Breeze. I’ve been impressed time and again in the lounges, the coffee bar and restaurants. Staff are downright friendly. When crew members do get to know someone’s name, they use the first name, typical, of course, of the way we do it in North America. I’ve been greeted by my first name many times, unusual on a ship carrying more than 3,000 people. The greetings do not seem forced or insincere, however. “For us, it’s like, ‘Welcome to our family.’ It is very genuine,” Pierre B. Camielleri, Carnival Breeze’s hotel director, told me one morning in Ocean Plaza. I know other companies probably do this too, but still, that’s pretty cool. 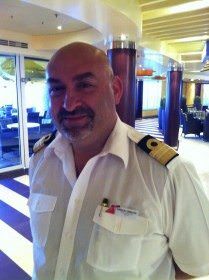 Do you have a favorite crew member on Carnival or any other cruise line who you would like to recognize with a shout out? Write his or her name in the comment box below and tell us what is so special about that person. Good evening. RADU URSU, Senior Photographer with Carnival, is absolutely brilliant with his photo taking. He is such a polite young man and full of information, when asked. I truly feel he is a huge asset to Carnival. Even after my cruise, I can travel all over the world, through his eyes & his camera. His posted pictures are wonderful to view. He deserves a huge “THANK YOU” from all who appreciate his exceptional work. Radu is amazing! Amazing photographer and so nice! Adi from Bosnia, he is a photographer at the Carnival Breeze, I got to met him, and I really hope I could get his facebook, he promised me to come to Mexico someday lol I just want to keep on touch with him, so THANK YOU. Adi the photographer from Bosnia.. I really want to keep in touch with him!!! Carnival Sunshine…the list is long!! Mickey Live, Jaime Dee, Radu, Iguana Cantina crew, the lady at the Java Cafe, Yustinus and helpers (room stewards), Dining room staff (Elmer, Mauro and Mere), JBlendz (Joe from Chicago), all of the entertainment staff, the man at the Ocean Plaza buffet, the photographers, Information desk. We were on the repo cruise starting at New Orleans. It was an amazing cruise that I will never forget. It was fun, restful and I even learned some things. Ninth Carnival Cruise and it was the best and they have all been wonderful. Razvan was our waiter from Romania. He was great & became my best friend. He told me to look him up on Facebook but I can’t find him! He was on the Carnival Breeze. Last year Manny (Emanuel)…drink server on Carnival Breeze !! Never let my hand be empty & was sooo funny !! Hoping he’s still there when we sail April 2017!!! He was our most memorable staff member !! ?? I have several on the Breeze…. 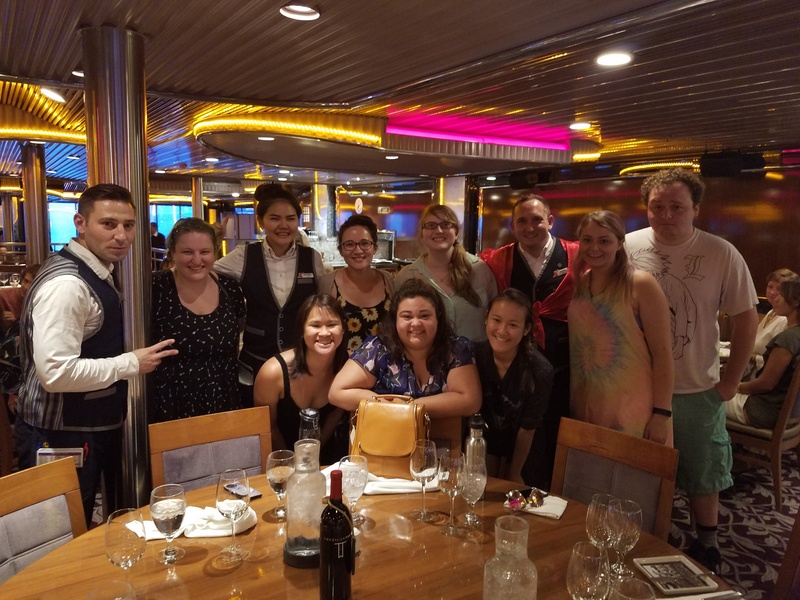 hollywood, I Made and German serving drinks on the Lido deck, Isabel in the Sapphire dining, Jonathon in housekeeling, Ryan in the Sky rope Course, Vinny over the comedy zone and Swartz our cruise director made our cruise fun and fulfilling. With three teenagers they made it entertaining for all of us. Thank you so much! Zoey with the entertainment group on carnival Pride, sailed May 7th. She was awesome and my boys will remember her forever. They love their trophies, she was looking for us when we disembarked and totally made the trip a blast with all the games and trivia. 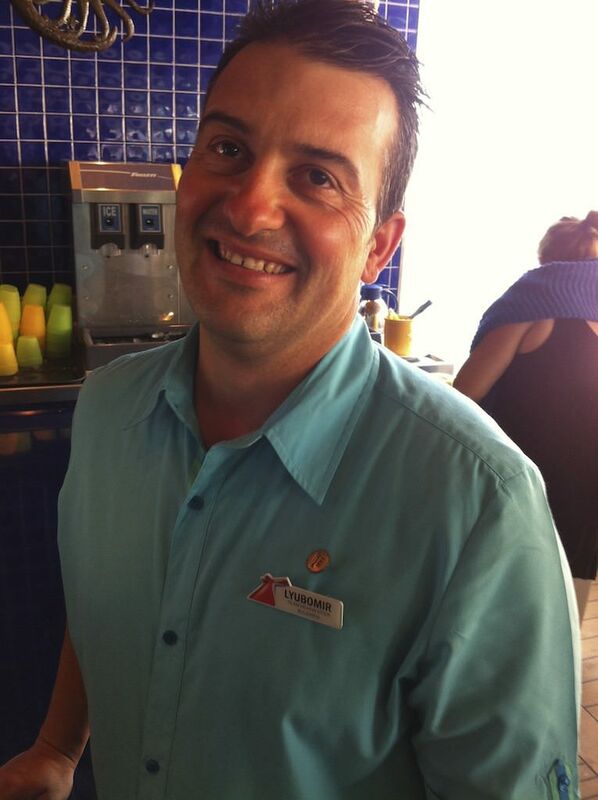 Daniel, Head Waiter, from Romania is absolutely fantastic. He is kind, funny, attentive and an extremely professional yet friendly waiter. Our family was very happy to get to know him and enjoy his excellent service. THANK YOU DANIEL!!! !